The aim of IRONMAN 4 the Kidz is to raise awareness and funds to support the many charities who care for the less fortunate children of South Africa. This national feeding initiative, is run by KFC. This program allows you to purchase ‘hope’ off the menu for just R2. This national feeding initiative, is run by KFC and runs all year round. This program allows you to purchase ‘hope’ off the menu for just R2. What you are actually buying is a meal for a hungry child. Each and every one of us has the power to change someone’s life. Add Hope only supports feeding initiatives because they want the children of our country to be given access to nutritious and balanced meals in order to grow, learn and thrive. Vodacom is a leading African mobile communication company providing a wide range of communication services. From their roots in South Africa, they have grown their mobile network business to include operations in Tanzania, DRC, Mozambique and Lesotho. The mobile networks cover a total population of approximately 200 million people. The Standard Bank of South Africa Limited is one of South Africa's largest financial services groups. The Standard Bank of South Africa Limited is one of South Africa's largest financial services groups, operating in 20 countries across Africa and other key markets around the world. Moving forward. ELB Group is a total solutions provider to the mining, minerals, power, port, construction and industrial sectors. ELB Group is a total solutions provider to the mining, minerals, power, port, construction and industrial sectors in the field of materials handling and appropriate modular process plants. We provide our customers with engineering expertise based on a long history of innovation in the air and gas handling field. We provide our customers with engineering expertise based on a long history of innovation in the air and gas handling field. Our past achievements still inform the way we work today. Many rankings and awards acknowledge Henkel as a global leader in sustainability and corporate social responsibility (CSR). Many rankings and awards acknowledge Henkel as a global leader in sustainability and corporate social responsibility (CSR). And because we embraced these ideals many decades ago, we are in fact already working on solutions to the problems of our age, such as the growing threat of climate change. With this in mind, we are consistently optimizing all of our brands and technologies in three phases of their life cycle: research and development, production, and use. Current co-sponsor of the Spur Ironkids. Sasol remains one of the South Africa's largest investors in capital projects, skills development and technological research and development. Sasol was established in 1950 in South Africa and remains one of the country’s largest investors in capital projects, skills development and technological research and development. The company is listed on the JSE in South Africa and on the New York Stock Exchange in the United States. Sasol is an international integrated energy and chemicals company that leverages the talent and expertise of our more than 32 400 people working in 37 countries. We develop and commercialise technologies, and build and operate world-scale facilities to produce a range of high-value product streams, including liquid fuels, chemicals and low-carbon electricity. Sharwoods Fitment Centres in Port Elizabeth are synonymous with fast, affordable and efficient fitment. Sharwoods Fitment Centres in Port Elizabeth are synonymous with fast, affordable and efficient fitment. Stocking Port Elizabeth's biggest range of passenger tyres, 4x4 and SUV tyres, batteries, shocks, exhausts and alloy wheels. Sharwoods have long established partnerships with leading manufacturers and sell more tyres than anyone else in the Port Elizabeth region. This means that not only can you count... on a value difference that is right for your pocket but have the peace of mind of knowing that all our products are covered nationally by comprehensive manufacturers' warranties. South African business owners and employers need professional legal support, probably now more than ever before. SEESA offers its clients professional legal advice and support in all aspects of their business – from labour law, Employment Equity, training, BEE compliance and Consumer Protection or Protection of Personal Information -matters. SEESA manages the needs of a diverse range of businesses from any industry, for clients with 5 or 5000 employees. Our comprehensive service is offered in the form of an all-inclusive fixed monthly retainer with no hidden or additional costs involved. You need us, we’re there to assist. Since 1946, Volkswagen Group South Africa is a owned subsidiary of Volkswagen Aktiengessellschaft (VWAG) in Germany. Since 1946, Volkswagen Group South Africa is a wholly owned subsidiary of Volkswagen Aktiengessellschaft (VWAG) in Germany. It is the largest German investment in South Africa and is a major contributor to foreign direct investment, technology transfer and skills development. Volkswagen Group South Africa is located in Uitenhage, an industrial town some 35 km from Port Elizabeth in the Eastern Cape. Volkswagen Group South Africa believes very strongly that job creation and skills development will fuel transformation. Our first priority, therefore, is to build a strong and successful business which protects and creates jobs within Volkswagen Group South Africa and the broader Volkswagen family of suppliers and franchised Dealers. Stu Davidson & Sons (Pty) Ltd is a Port Elizabeth based and BEE compliant Plant Hire and Demolition company. Stu Davidson & Sons (Pty) Ltd is a Port Elizabeth based and BEE compliant Plant Hire and Demolition company. We operate one of the largest fleets of late-model earthmoving machinery in the Eastern Cape. With over 30 years’ experience in the industry, the company's range of well-maintained machines includes water, dumper and tipper trucks, front-end loaders, graders, rollers, excavators, bulldozers, hydraulic hammers & lowbeds. We strive to offer personal and technical service on all products relating to Civil Engineering, Building and Municipal Markets. Service and delivery is one of the achievements that make Ibis Engineering Merchants cc a top supplier in the industry. ISRINGHAUSEN is the global market leader in the development and manufacture of innovative seating systems for commercial vehicles as well as technical springs. SRINGHAUSEN is the global market leader in the development and manufacture of innovative seating systems for commercial vehicles as well as technical springs. Our products are used in trucks, buses and construction equipment. 50 plants across 20 countries form the backbone of our manufacturing infrastructure. Since 1967, when the Golden Spur in Newlands, Cape Town opened up, Spur Steak Ranches have been part of the South African family. 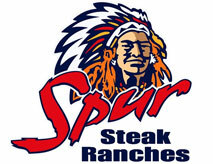 Since 1967, when founder and executive chairman, Allen Ambor, opened the Golden Spur in Newlands, Cape Town, Spur Steak Ranches have been part of the South African family. In the years since then, Spur has helped to create countless special memories and earned a reputation for tasty, nutritious, value-for-money meals. We’ve also grown into an internationally recognised brand with many local and international restaurant. 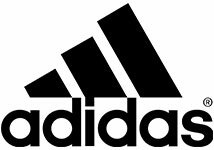 Current naming sponsor of the Spur Ironkids SA. We are a service provider in the fields of storage, handling, forwarding, chartering and other related logistics services. We are a service provider in the fields of storage, handling, forwarding, chartering and other related logistics services. 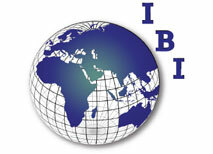 The organisation is well recognised and respected by all parties involved in the global commodity trade business. With this website we would like to give you a further insight into who we are, what we can do for you and where we can be of service. SimonSays is a graphic design and marketing company breathes life into brands through explosive design and researched strategies. 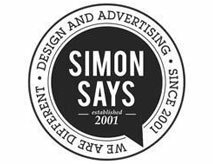 SimonSays is a graphic design and marketing company breathes life into brands through explosive design, researched strategy and pro-active thinking. Based in Port Elizabeth they demands attention and Simon Says offer their clients contemporary trends in website design. They have the uncanny ability of creating the perfect symmetry throughout a brand’s print and online marketing with their use of current technology. Origin Aluminium, founded in 2005, is a national producer of Aluminium and Glass architectural products. It was the brainchild of Grant Kalil who, together with Grant Saville, Kevin Minnaar, Rajen Naicker, Kisten Naicker and Charles Honeywill have over 85 years of experience between them. Trusted companions of fine wines, Diam, Mytik Diam and Altop closures help maintain an incomparable. Trusted companions of fine wines, Diam, Mytik Diam and Altop closures help maintain an incomparable sensorial purity. They ensure consistency throughout the life of bottled wine. Choosing Diam Cork offers your consumers the guarantee of enjoying the purest result of the winemakers’ work, bottle after bottle, year after year. Woolworths are passionate about delivering top quality on trend products that offer great value and finding ways to make a difference to the lives of consumers. Edward Snell and Co, one of South Africa’s leading marketers of International and South African liquor brands. Edward Snell and Co, one of South Africa’s leading marketers of International and South African liquor brands. Established in 1848, It is presently the largest family-owned wine and spirit merchant in South Africa. We pride ourselves in providing you with not only the best endurance fuels in the world, but added knowledge & training advice. We pride ourselves in providing you with not only the best endurance fuels in the world, but added knowledge & training advice. So whether it is sprint or olympic distance triathlons to Ironman or Multisport, adventure cycle racing to marathons, we at Hammer can offer you fuels that will not only make you go the distance, but will also improve your performance time, remember “FUEL RIGHT, FEEL GREAT”. MEGAPRO Holdings partner with sport and entertainment rightsholders to develop solutions that maximise commercial returns. They work with rights owners to plan commercial strategy and then build and implement sports sponsorship, advertising and event management programmes. 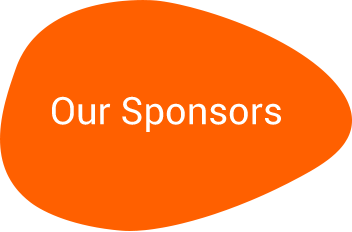 MEGAPRO Holdings proudly represents many top South African sports organisations and align brands with top sponsorship properties and offer the best access to sport and entertainment marketing platforms in South Africa. With over 25 years’ experience, MEGAPRO Holdings has an unmatched track record in unlocking the commercial value of consumer passions. Perfect Circle is a website/graphic design company that deliverers cutting edge solutions to meet almost any business need. The MySchool MyVillage MyPlanet fundraising programme is one of South Africa’s biggest community programmes. Hola4 is an Event Solutions Company, that focuses on Technical and Infrastructure solutions that compliment the design and flow of an event. PwC firms provide industry-focused assurance, tax and advisory services to enhance value for their clients. PwC firms provide industry-focused assurance, tax and advisory services to enhance value for their clients. More than 180,000 people in 158 countries in firms across the PwC network share their thinking, experience and solutions to develop fresh perspectives and practical advice. “PwC refers to the network of member firms of PwC International Limited, each of which is a separate and independent legal entity. As a service provider in the cleaning industry, Khanya specializes in contractual and once-off maintenance. As a service provider in the cleaning industry, Khanya specializes in contractual and once-off maintenance and deep cleaning, as well as managing a range of associated soft services. Marius Olivier started Khanya in August 2004 after being involved in the cleaning industry for almost seven years as regional manager for a leading national cleaning company. During this time he established close relationships and gained valuable experience and respect with both local and national clients, ranging from small office complexes to factories, warehouses, retail stores, shopping centers, hotels, private hospitals and health clubs. The Hollard Insurance Group is South Africa’s largest privately-owned insurance group, established in 1980. The Hollard Insurance Group (comprising the Hollard Insurance Company and Hollard Life Assurance Company) is South Africa’s largest privately-owned insurance group, established in 1980. Wright Surveillance is a leader in the CCTV video surveillance field in South Africa. Wright Surveillance is a leader in the CCTV video surveillance field in South Africa. We excel in designing, developing and installing CCTV Security Systems in commercial, industrial and retail properties. Our dedicated team will help you make the right decisions to ensure that technology works for you 24 hours a day. Wright Surveillance offers a total turn-key service in that we plan, supply, install, monitor and maintain your CCTV security system. We also provide a consulting service to ensure that the total security package at your premises provides the optimal solution. 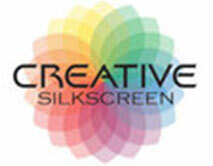 Creative Silkscreen is in the unique position of being able to provide truly effective signage solutions for any situation, anywhere. Creative Silkscreen is in the unique position of being able to provide truly effective signage solutions for any situation, anywhere. Our business is equipped with the kind of cutting-edge technology required to meet the most exacting customer requirement. Algoa FM is a Commercial radio station established to cater for the needs of the Eastern Cape and the Garden Route of South Africa. 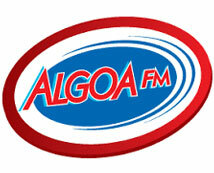 Algoa FM is a Commercial radio station established to cater for the needs of the Eastern Cape and the Garden Route of South Africa in the 1980s and is still a driving force in the media of the present day. The station is licenced to broadcast as an Adult Contemporary radio station and plays music suited for the tastes of the people in the region of the Eastern Cape and Garden Route. This is monitored by the South African licensing authority known as the Independent Communications Authority of South Africa, or ICASA Algoa FM also reach the popular coastal areas of Mossel Bay, Knysna, George, Wilderness and Sedgefield. 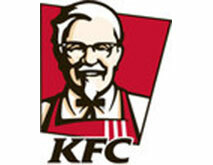 KFC first entered the South African market in 1971 and is the largest fast food chain in South Africa. Four years ago KFC launched Add Hope – their solution to filling the many hungry tummies of children in South Africa. Add Hope only supports feeding initiatives because we want the children of our country to be given access to nutritious and balanced meals in order to grow, learn and thrive. Our guiding principle in to always raise the bar, to continuously reach for more, to establish new benchmarks in everything we do. Super Group is a leading transport logistics and mobility group providing services to a diversified global customer base. Super Group is a leading transport logistics and mobility group providing end-to-end supply chain solutions, fleet management and dealership services to a diversified global customer base. Super Group comprises supply chain and mobility businesses focused on offering a comprehensive range of services,utilising world-class skills and technology. The exciting 5150 Triathlon Series (pronounced “Fifty-One Fifty”) was launched by World Triathlon Corporation in 2010. The exciting 5150 Triathlon Series (pronounced “Fifty-One Fifty”) was launched by World Triathlon Corporation in 2010 to fill the void for a global standard distance triathlon series in a non-drafting format. The event offers the opportunity for mass participation in a manageable race distance. The company has multi - faceted expertise within the civil engineering parameters, with strong emphasis on township development. The company has multi - faceted expertise within the civil engineering parameters, with strong emphasis on township development. This includes construction of major national routes, township roads, stormwater -, water -, and sewer reticulation. Construction is so much more than bricks and mortar. Construction is so much more than bricks and mortar. While Enza has a proud reputation for executing projects on a traditional procurement basis, the company comes into its own as a value-add contractor. With strong roots in project management and property development, Enza can align its expertise to meet the holistic requirements of its clients and consultants. First National Bank is one of South Africa's "big four" banks. Partnering with our clients to develop leaders and strategies for the new world of work. Partnering with our clients to develop leaders and strategies for the new world of work. We provide insights, inspiration and the strategic vision necessary for future focused leaders to know what to do when they don’t know what to do. Our leadership programmes, presentations and workshops are delivered globally, and companies repeatedly request our involvement in shaping their leadership and future direction. The Nedbank Running Club Central Gauteng, Johannesburg is an ideal club for the more social runner. The Nedbank Running Club Central Gauteng, Johannesburg is an ideal club for the more social runner. It has a relaxed and friendly character, and while faster runners are welcome, the bulk of our members are social runners with serious goals. Any South African runner intending to run road races is advised to join a running club and this is particularly the case when it comes to running marathons and ultra marathons. Eurosteel are National Distributors of Stainless steel 3CR12, Aluminum and special steels. From humble beginnings, the Euro Steel Group of companies has evolved into South Africa’s premier stockist and distributor of stainless steel, special steels, aluminium and other corrosion resisting materials – all in almost every commercially available form. We have served customers for more than 70 years and have built strong partnerships with libraries, publishers and other content providers. Kourie Enterprises assists private and corporate companies with the development of marketing strategies. Kourie Enterprises assists private and corporate companies with the development of marketing strategies with a keen focus on top quality corporate gifts and promotional items. Kourie Enterprises provides promotional products that deliver lasting value and has an impact that conventional advertising cannot provide. In conjunction with our trusted supplier network we provide products that are either sourced, manufactured or imported depending on the needs of our clients which include branding solutions. Supa Quick has over 250 tyre fitment centres throughout Southern Africa – more than any other fitment centre – employing over 4 000 fitment experts. Supa Quick has over 250 tyre fitment centres throughout Southern Africa – more than any other fitment centre – employing over 4 000 fitment experts. Whatever you're looking for in a tyre, from original equipment to high-performance tread, Supa Quick South Africa has the solution. Since its founding 1871, Continental works for one goal: Bringing safety to the streets without compromises in driving comfort and pleasure. Since its founding 1871, Continental works for one goal: Bringing safety to the streets without compromises in driving comfort and pleasure. From the first tread pattern tyre in the world to the visionary Conti.eContact and our innovations in automotive safety – for over 140 years, the have constantly develope our expertise in mobility, transport and processing. As you read this, over 200.000 highly skilled employees in 53 countries are working for that objective. Sasfin Holdings Limited (“the Group” or “Sasfin”) is a bank controlling company that listed on the Johannesburg Stock Exchange in 1987. Sasfin Holdings Limited (“the Group” or “Sasfin”) is a bank controlling company that listed on the Johannesburg Stock Exchange in 1987. Through its subsidiaries, notably Sasfin Bank Limited, the Group offers a range of comprehensive, modular banking and financial services focused on the needs of the entrepreneur, corporate, institution and high net-worth individual. With an extensive family history of construction in Africa dating back to 1897. With an extensive family history of construction in Africa dating back to 1897, Leomat continues the family tradition through acquiring an extensive portfolio of work since our establishment in 1979. Leomat takes contracting to another level, building relationships and giving our clients the best possible service. The group is continually growing, seeking new challenges and building solid relationships. Leomat operates from the head office in Richards Bay, KZN, and has operations throughout KZN including Durban, Pietermaritzburg and Ladysmith, as well as Delmas, Gauteng. GAME is one of the biggest retail stores in South Africa. Order online and collect from your favourite store Or they will deliver to your door, nationwide. MBH was established in 2008 and is growing steadily in the transportation industry. MBH was established in 2008 and is growing steadily in the transportation industry. Our solid credentials and dedicated employee compliment has taken pride in providing high quality service standards. MBH's successes are due to providing various transport needs within one organization despite an ever increasing and demanding transport logistics market. MBH is striving to be a leader in the BBBEE transportation industry. Within the next twelve months, MBH's objective is to penetrate the market share in this corporate dominated industry, with the aim of developing and establishing business relationships with the companies which use large corporate companies and to increase our market share by a minimum of 10% for each of our first five years. It takes a great investment in time and effort to unearth the hidden beauty of a rough diamond, transforming it into a precious gem. In the same way, the Theo Jackson Scholarship Fund aims to uncover the talents of boys who, if not given such an opportunity, may well never get a chance to shine. The Fund specifically targets disadvantaged boys who are either orphaned, or come from single parent families. Prescient is a multinational business whose operations in financial services span several continents. .
Prescient is a multinational business whose operations in financial services span several continents. "Prescient was launched in 1998 as an investment management firm with the stock broking business following in 1999. IBI is a Business Advisory Consulting Firm focusing on Marketing Intelligence, Business Development, Capital Raising and General Accounting Services. NutriCrate is a trendsetting Online Grocery Store, offering our first-rate products and exceptional customer service to shoppers from the comfort of their own homes. Bayerische Motoren Werke AG, known under its abbreviation BMW, is a German luxury vehicle, motorcycle, and engine manufacturing company founded in 1916. Hahn & Hahn Inc is a boutique firm of specialist Intellectual Property practitioners. Hahn & Hahn Inc is a boutique firm of specialist Intellectual Property practitioners covering South Africa and Africa, as well as obtaining rights internationally. Unlike other firms Hahn & Hahn Inc specilaises in IP Law and does not offer legal services in all possible fields. Ever since the early 1900s we have been at the cutting edge of corporate and commercial law in South Africa. Ever since the early 1900s when Jan S. de Villiers opened his Cape Town practice and 1917 when Nathan Werksman founded Werksmans, we have been at the cutting edge of corporate and commercial law in South Africa. Operating as a fully integrated seamless office on the continent of Africa, we provide innovative solutions and legal advice in Africa by mastering business and other issues across Africa. We have an excellent track record in Africa and have advised major banks and corporates on a range of complex transactions, dispute resolution and other corporate/commercial and regulatory matters. Our firm has unrivalled depth and breadth of experience in the disparate legal and commercial environments of many African countries, positioning us to tell the real African story through an undisputed track record. For all your Stainless steal needs. Get in touch with a sanitary specialist who will be happy to discuss all questions and details with you.